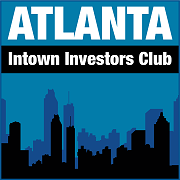 The Atlanta Intown Investors Club is a new Atlanta REIA Subgroup run by Dustin Griffin and Maggie Groholski. Dustin is the founder of Atlanta REIA and an active real estate investor. Our mission and focus is to provide an open forum for real estate investors and industry professionals to network and have direct access to hot real estate deals. This forum will be totally member-centric. Its content and value is derived from our members actively participating and networking with each other during the meeting. We will not be pitching products from the front of the room. Instead, this is your meeting to pitch your properties, products and services; voice your real estate wants and needs; and participate in open discussions of real estate questions and issues. We will strive to remain a forum for investors to do deals and learn and seek advice from your peers and trusted industry professionals. The more you attend and participate, the more deals you’ll do and, the smarter we all become. 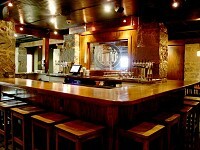 Meetings will be held on the 3rd Thursday of each month at the “Wrecking Bar BrewPub” in the Cellar Meeting Room from 6PM-9PM. 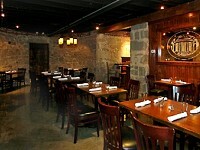 Dinner will be available to order as will a varying array of beers and cocktails. Join us for the meeting as well as dinner to support our local businesses. As always we will socialize after the meeting in the main pub area. Maggie Groholski has an incredible “get up and go get it” spirit towards her goals. Luckily for her, that goal is Real Estate. 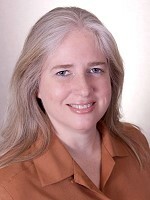 Her hands on approach and continued desire for knowledge in the industry led her to acquire her license and gear her focus toward the foreclosure and short sale market. Maggie has an endless desire to help those around her and is also the leader of the new Atlanta REIA Intown Investors Club.